I haven't been visiting facial centers for a facial, that's why I rely on over-the-counter facial masks. 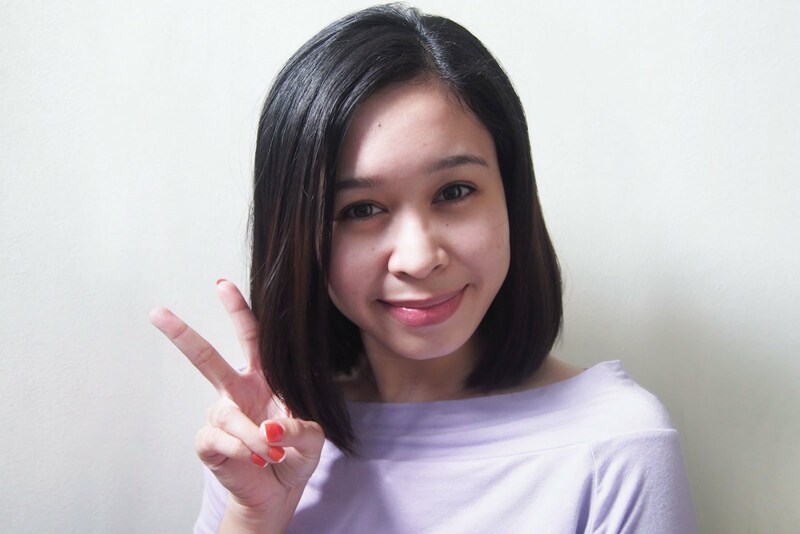 This time I tried the Purederm Strawberry Yougurt Pack, which I purchased at Shopwise (also available in Watsons). 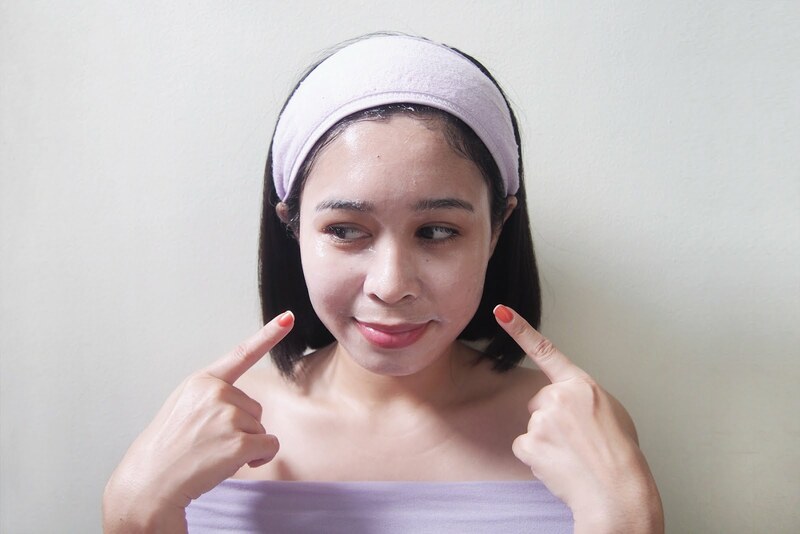 Purederm Strawberry Yougurt Pack is a wash-off type massage mask. 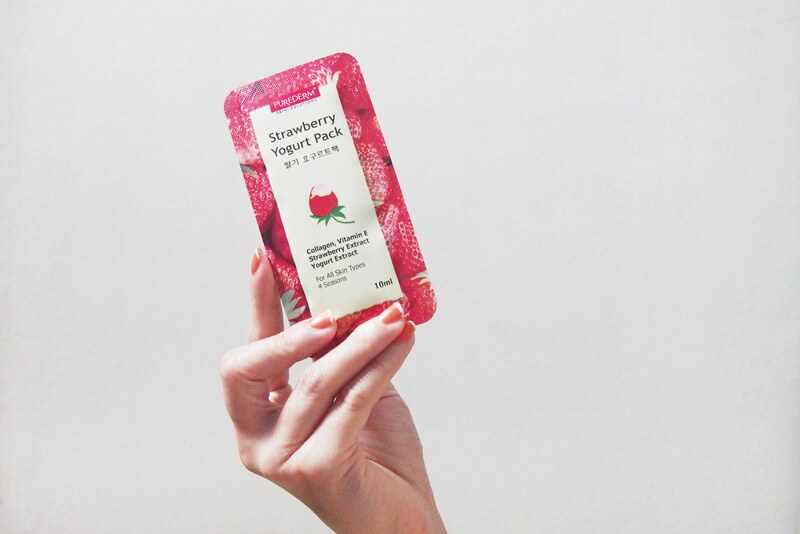 It contains Collagen, Vitamin E, Strawberry Extract, and Yogurt Extract. The Strawberry Extract purifies skin and prevents pimples, while the Yogurt Extract is in charge of distressing, softening and smoothing the skin. 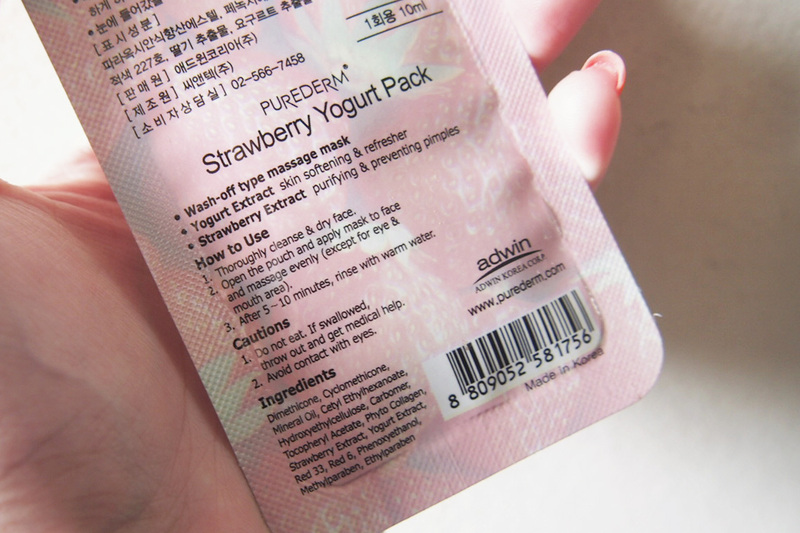 I've read some other blogs/reviews regarding the product and most of them mentioned that the Purderm Strawberry Mask Yogurt Pack is a great product. Aside from having a magnificent yummy scent, it did make their skin feel soft & supple. Now, it's time for me to try it out. 1. Thorougly cleanse & dry face. I've just readied & cleansed my face for this awesome product people have given good reviews. Lol. I accidentally applied the mask to my lashes too. Applied it like how I usual apply my moisturiser, the mask had a creamy and lightweight consistency. It's not that sticky when applied to the face. 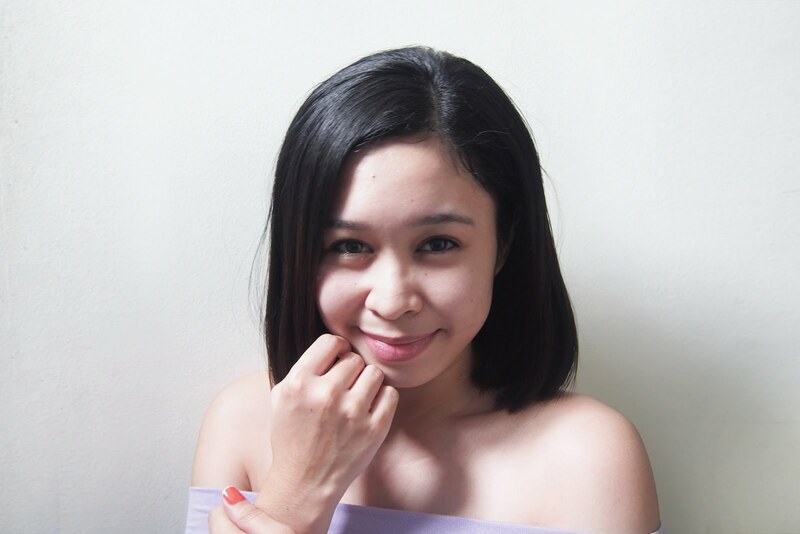 Some blogs say a pack can be used 4-5 times, because yes there's quite a lot of product in that small packaging but I used up all of it in one application. Hahaha. If I were to use it again, I would probably only use it 2x. I'm just quite afraid of bacteria build up once the package is open since it's not the zip up type. It says to leave the product on for 5-10 min. 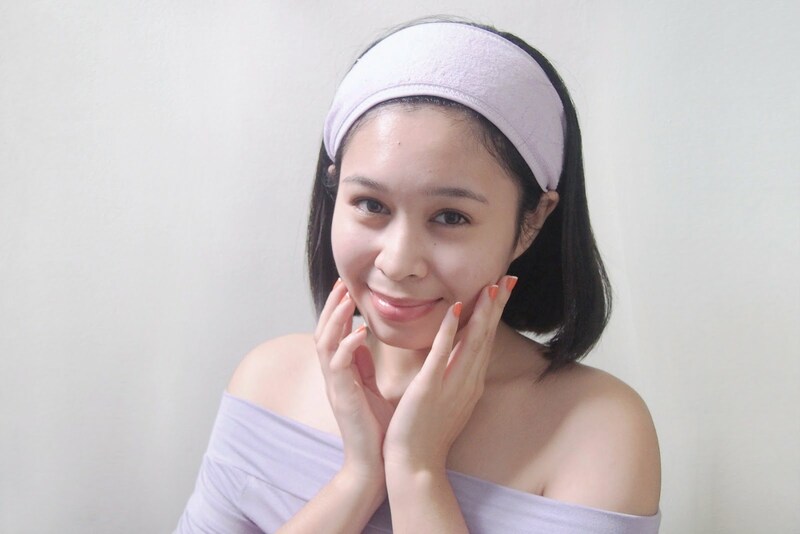 but I went beyond by a few more minutes (10 more minutes to be exact) because it took me a crazy number of pics (60+ to be exact, #bloggerrealities) before I was satisfied with any of the photos of me with the Purederm Strawberry Yougurt Pack on. Haha. Okay, after leaving the product on my face for 20 minutes. I've washed it off with warm water. I'd say the product was easy-peasy to rinse. I had no problem taking all the product off. No noticeable brightening effect (maybe, my face is just to bright already, hahaha. Wishful thinking!). Overall.. 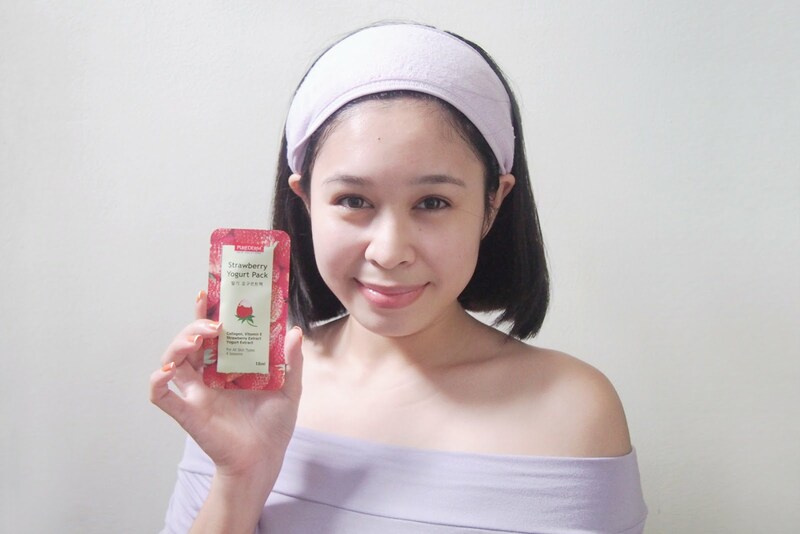 I liked the scent of Purederm Strawberry Mask Yogurt Pack, I like that it's easy to apply and that my skin seemed to absorbed it easily. Like others, my skin was soft and supple... I ended up with a refreshed, tight and squeaky clean feeling. My facial skin also felt healthy after use. Plus, talk about affordable! That's all Bs! 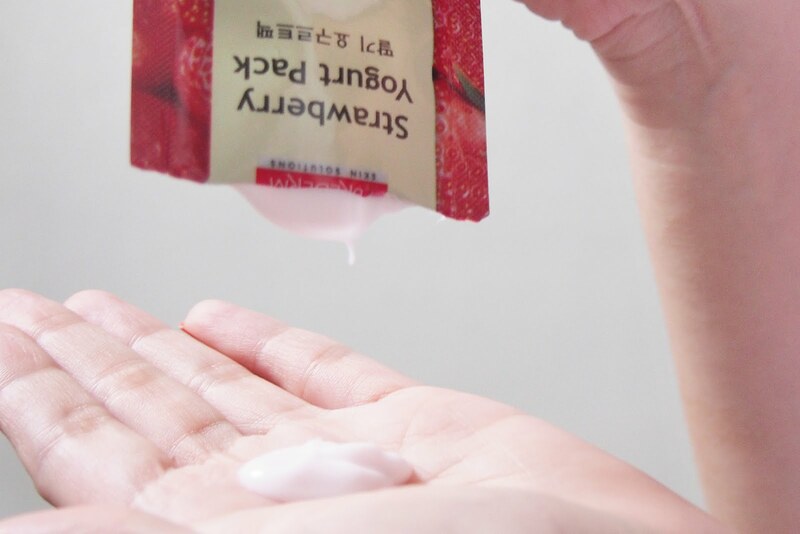 Feel free to share your experience with the Strawberry Mask Yogurt Pack or any other variants of Purederm. Disclosure: This isn't sponsored, I bought the product with my own money. Also, note that people have different skin and some products might work differently on mine and yours. Proceed at your own risk.